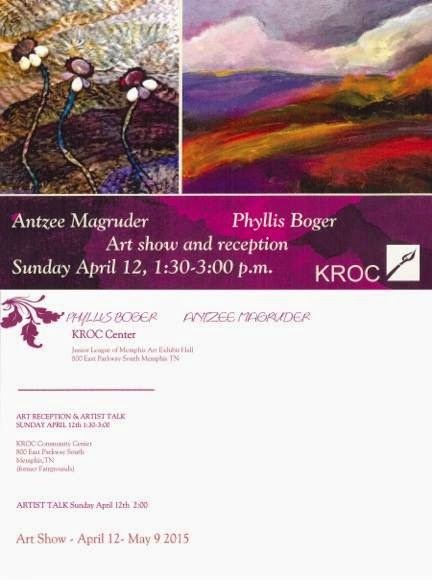 Phyllis writes, "I will be having an exhibition at the Kroc Center along with fellow artist, Antzee Magruder. Sunday, April 12, 2015 from 1:30 to 3 pm. There will be a gallery talk at 2pm"